Fizzy, loud, in your face. A jolt of sheer energy. Very bright. Very cool. Funk your whole life up. What does neon mean to you? A crazy party? A breakdance session? Shouting ‘look at me’? Or all those things and more? 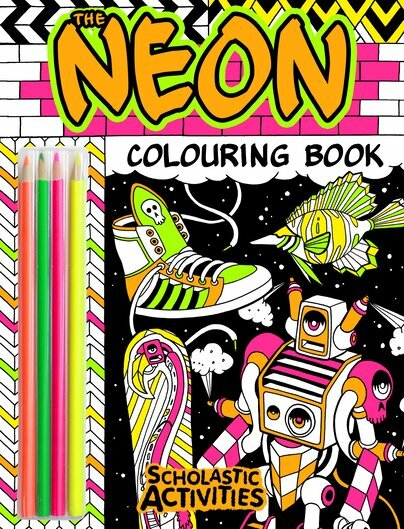 Celebrate all things neon in this high-voltage colouring book. It’s fabulously fluoro. You get four neon pencils: electric pink, yellow, orange and green. Plus edgy images made to fit these punchy brights. Make art that really grabs attention. We all need some neon in our lives.